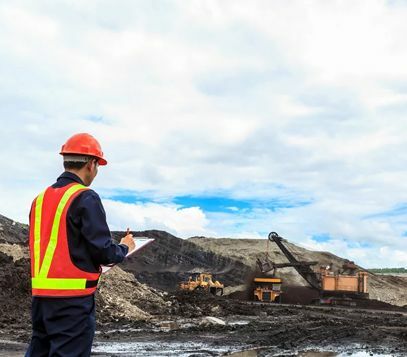 In the traditional mining & recycling analytical laboratory, all processes – from logging-in samples to executing the sample preparation – are performed manually. This results in a very labour-intensive and time-consuming process. On the other hand, automation can significantly speed up the analytical processes, reducing the processing time and improving the quality of analysis. 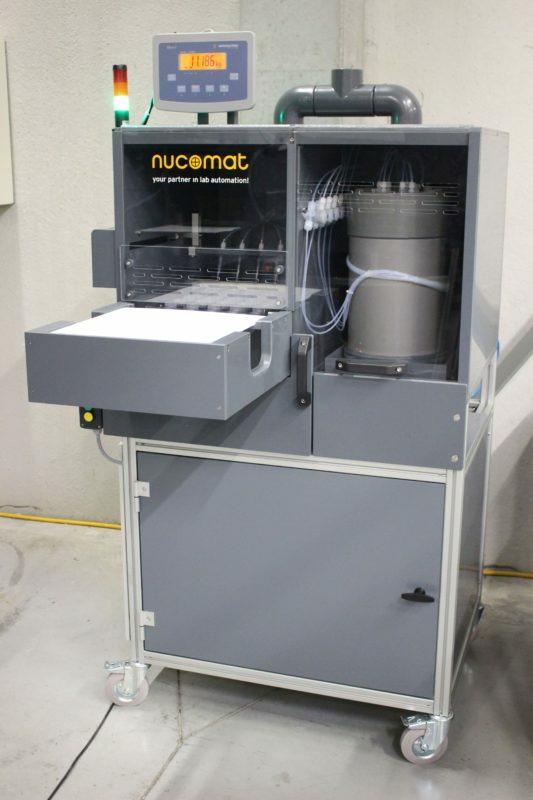 Nucomat has developed several automated sample preparation systems to perform wet chemistry digestion of ore samples. Applications include gold analysis from silver prills, etc. For the analysis of mining blastholes, many different chemical analyses are performed (e.g. AAS and/or ICP). The sample preparation procedure typically involves the dissolution of grinded ground samples using concentrated acids. This process is very dangerous when it is executed manually. The automation of the sample prep process results in several advantages; such as improved safety in the lab, an increased throughput of samples (up to 460 samples a day) and possibility to run the machine under a 24/7 regime. The automated Silverprill system enables to analyse the presence of different elements by dissolving grinded ground samples. The system can be equipped with an AA instrument for inline chemical analysis. 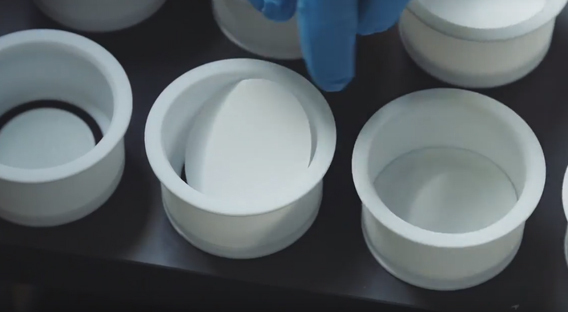 Through automation of the sample prep process, the system offers an increased quality and safety of the sample prep procedure. 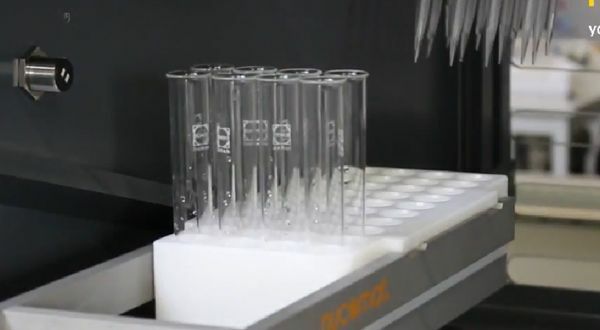 Sample throughput can reach up to 1500 samples a day. The high speed automated dispenser can be used for reagent or acid gravimetric dispensing in a very fast, accurate and safe way. The system is perfect for any laboratory that requires fast reagent additions to standard test tubes. By a pre-programmed microcontroller and a web-interface, the system is extremely user-friendly and accessible by any PC, smartphone, or tablet connection. Maintenance free pneumatic driven precision pumps, in combination of PTFE-tubing, are making the system very reliable. The complete system is embedded into a safety enclosure.